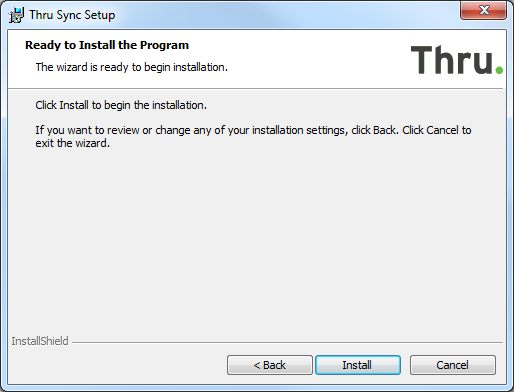 Follow the instructions below to install Thru Desktop Sync. 1. Locate and run the setup.exe file. 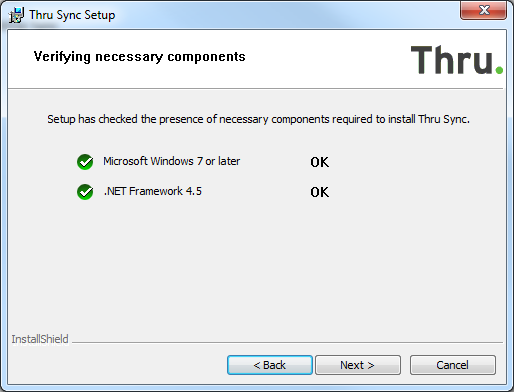 The Thru Sync Setup window opens. Click Next to begin the installation steps. 2. 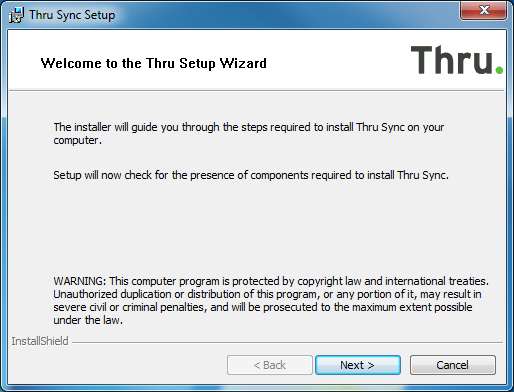 The Thru installer will verify that your system can run Thru Sync and that you have all the prerequisites for the install. All components will be marked with a green checkmark as shown below. Click Next after the components scan is complete. 3. 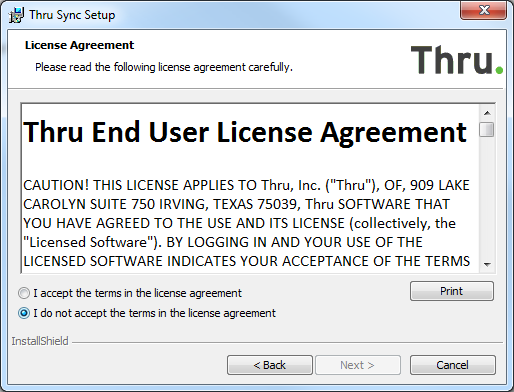 To install Thru Desktop Sync you must accept the terms that are listed in the license agreement. After accepting the terms, click Next. 4. 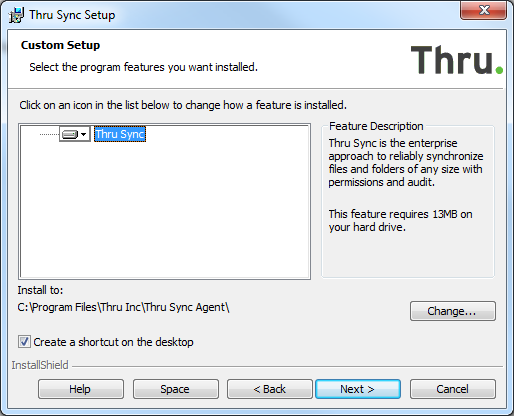 Select where you want the Thru Desktop Sync program file to be installed. The default location is C:\Program Files\Thru Inc\Thru Sync Agent\. Click Next after selecting the program location. 5. 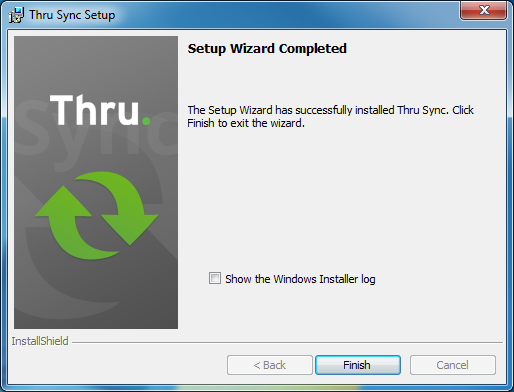 Click Install to begin the installation of Thru Desktop Sync. If you want to review or change any installation settings, click Back. 6. 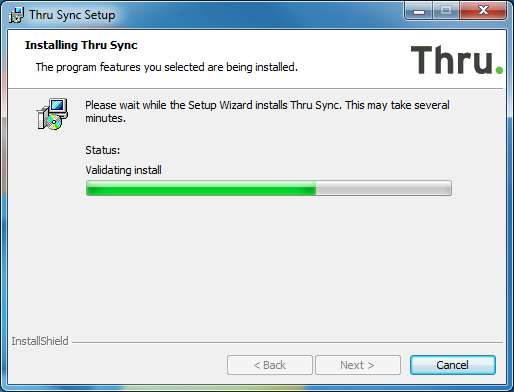 Once the installer is finished installing Thru Desktop Sync, the following screen will notify you that the software has successfully installed. Click Finish to exit the Setup Wizard.